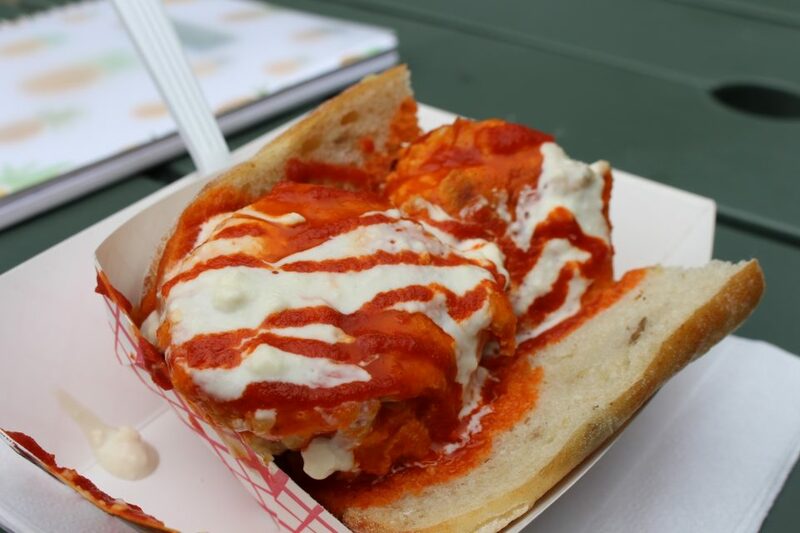 Let’s talk about how food trucks are no longer your typical burger and hot dogs kind of spot. I got to spend some quality time with all these amazing food truck owners and got to see the ins and outs of the industry. First, I want to thank every single owner and employee who took time from their super busy schedule to answer some of my questions and give me insight on their truck struggles and their passions. These are in no particular order as I loved every single one. Holy Schnitzel! 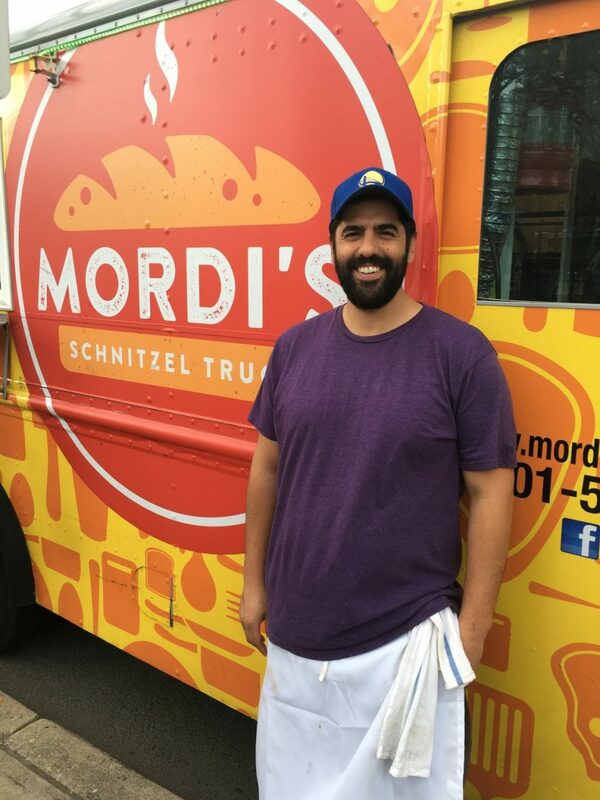 Now I must admit, I never had a schnitzel until the day I met Mordi. 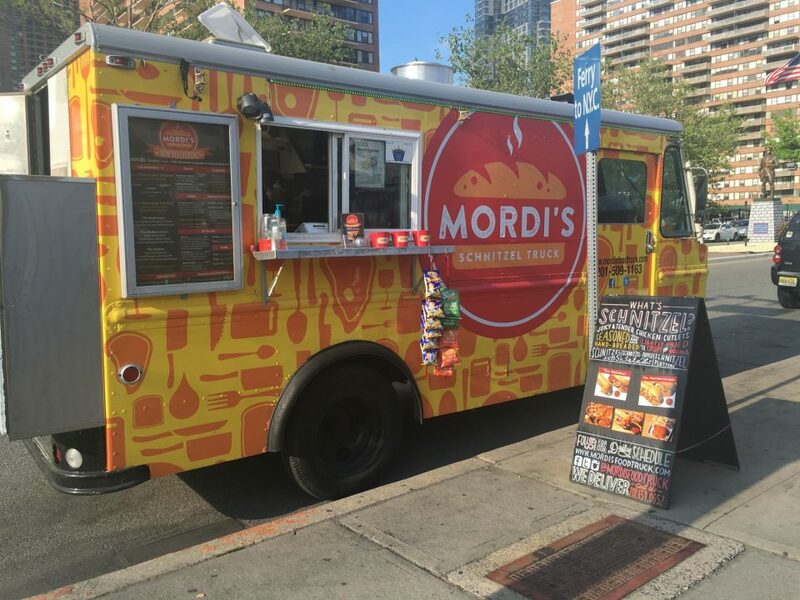 Mordi’s food truck has been around for two years and offers both lunch and dinner services. What’s a schnitzel you ask? Well, it’s a lightly fried thin piece of chicken or eggplant. A few years ago he went on a trip to Israel with his girlfriend, Michelle. She pointed out to Mordi that no one in Jersey City was offering schnitzel. 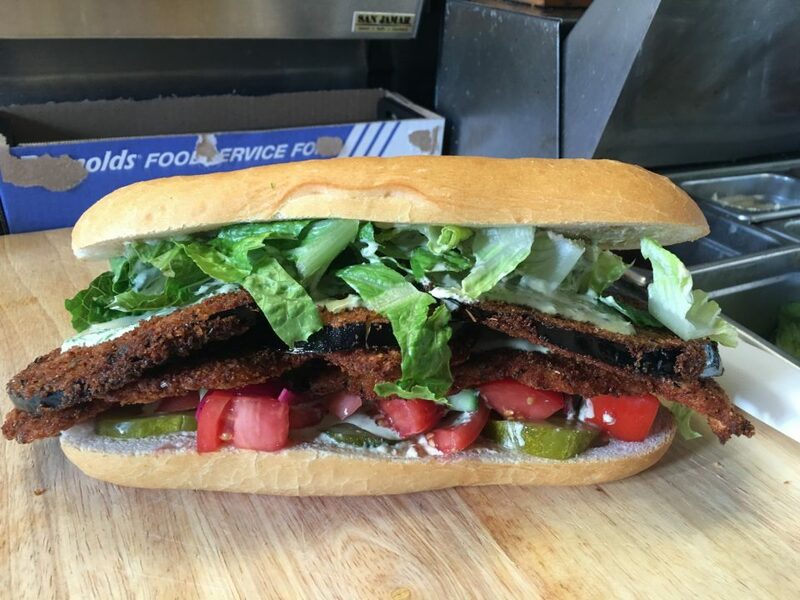 At Mordi’s, you can order your schnitzel either on a platter or a sandwich. 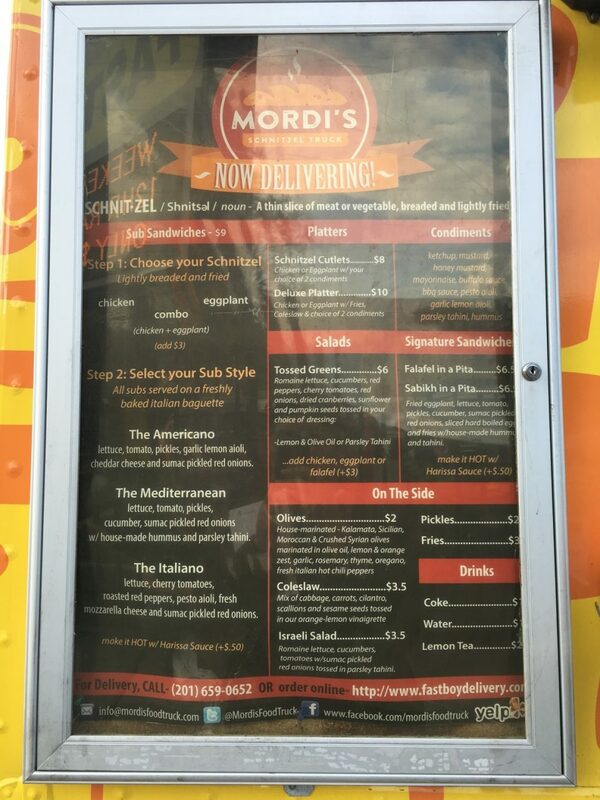 Mordi’s favorite is the Mediterranean combo which is the one I ordered, and it was incredible. Cash and credit cards accepted. Aye, bendito! You wanna talk about having some amazing Puerto Rican food look no further than ME Casa. Chef Eddie, who went to school for finance, walked away from those numbers and got himself behind the kitchen. After a few minutes of talking with Eddie, you become instant friends like you grew up on the same block together. 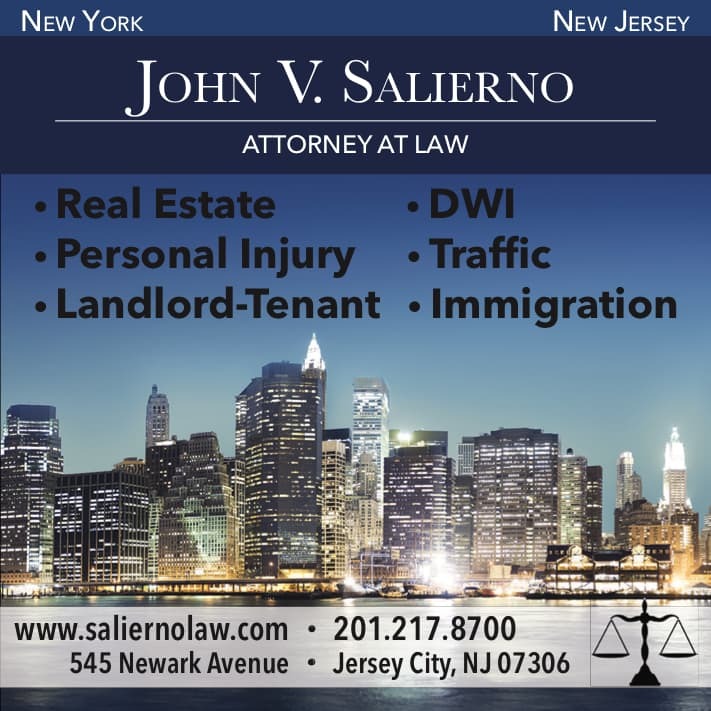 You can check out restaurant located at 356 Varick St Jersey City, but if you’re on the go and want that quick Latino cuisine stop by and check out his food truck. ME Casa is no joke, they have two food trucks, a restaurant, and they cater. 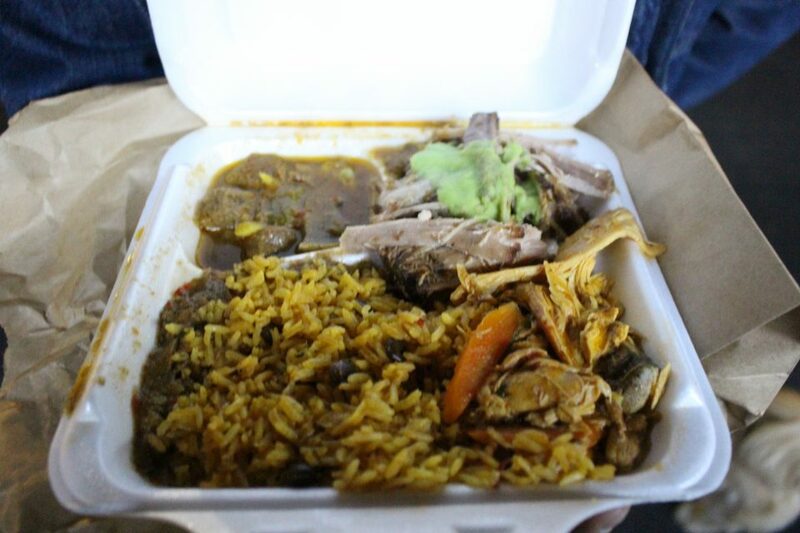 Eddie’s pernil and arroz con guandules are like no other. They’re delicious and juicy, don’t even get me started on their money sauce; make sure you ask for extra because it is just that great. 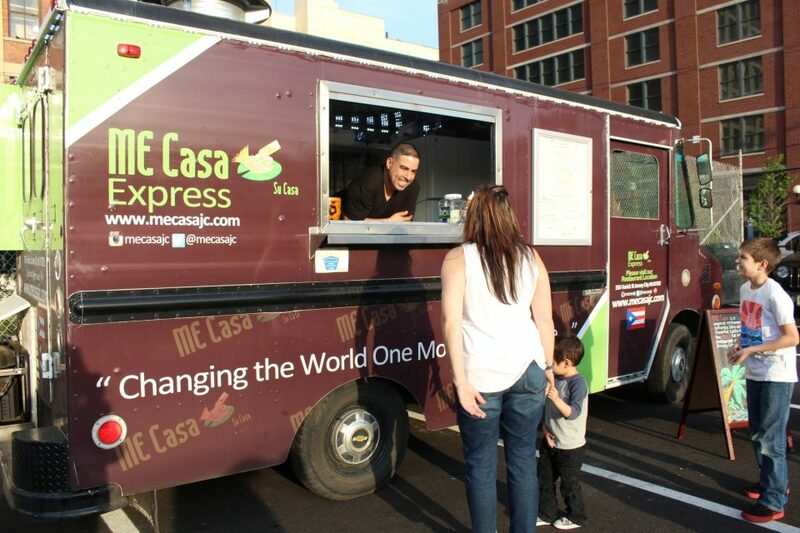 ME Casa is available for renting and catering. Make sure you follow them on Instagram and Twitter to see their schedule and location. Cash only. Jeannie and Sonia, who are sisters, are probably just as sweet as the cupcakes they bake. Jeannie was such a humble person to speak to as she gave me the history on how CupcakesbyJeannie started just about a year ago when their father passed away. I must say it’s beautiful to see sisters working together and bringing sweets in the perfect size to the community they love. 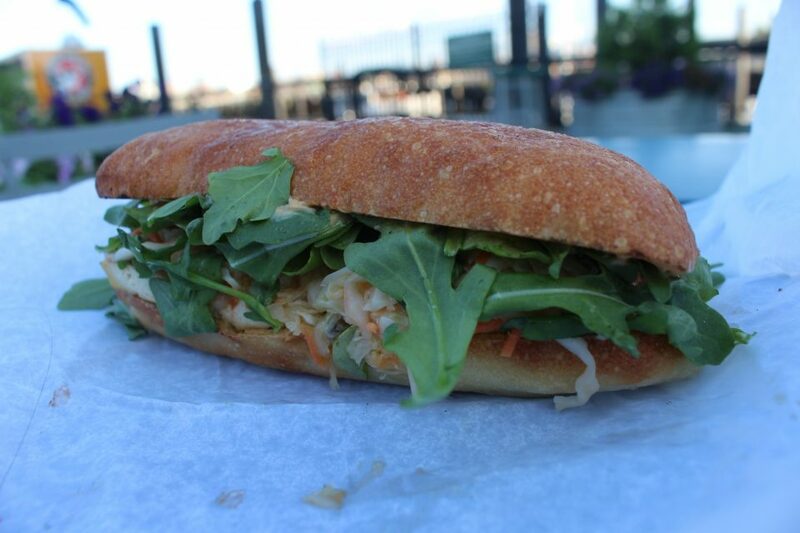 Everything is homemade by Jeannie, and she loves to experiment with different flavors during the seasons. She told me that during Christmas they will make coquito cupcakes. They hope to continue their success and perhaps one day to have a store front. 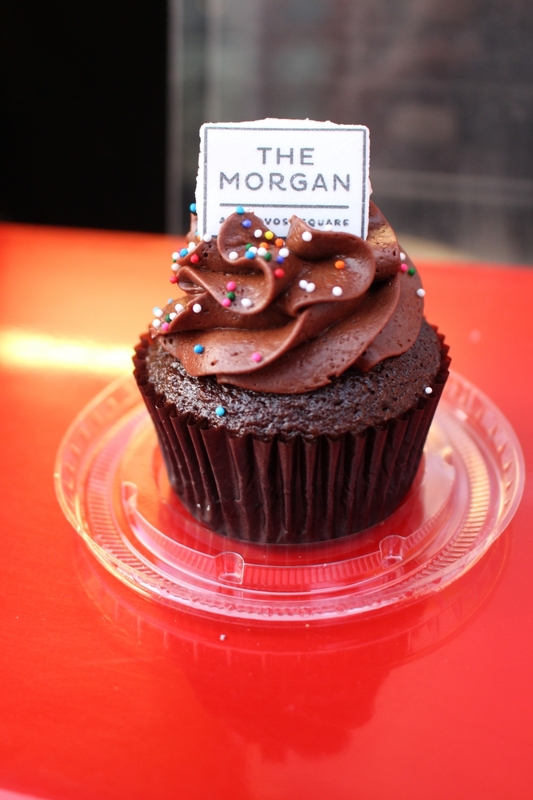 I had the tres leches cupcake and besides having it all over my face, it was probably the greatest cupcake I’ve ever had. 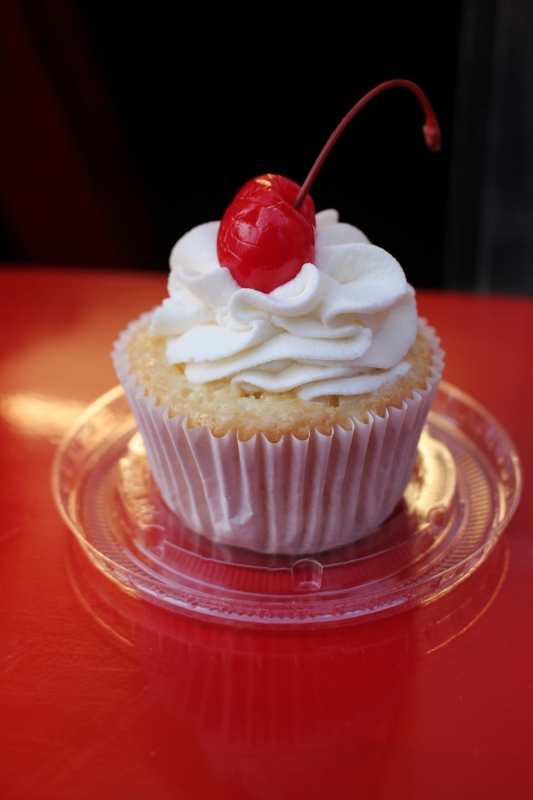 If you know tres leches then you understand how it’s a moist dessert, and this cupcake completely keeps the integrity of what a tres leches should be! Make sure you follow them to see their schedule and location. Cash and credit cards accepted. The Angry Crab makers are anything but angry, sorry Mike it’s true! 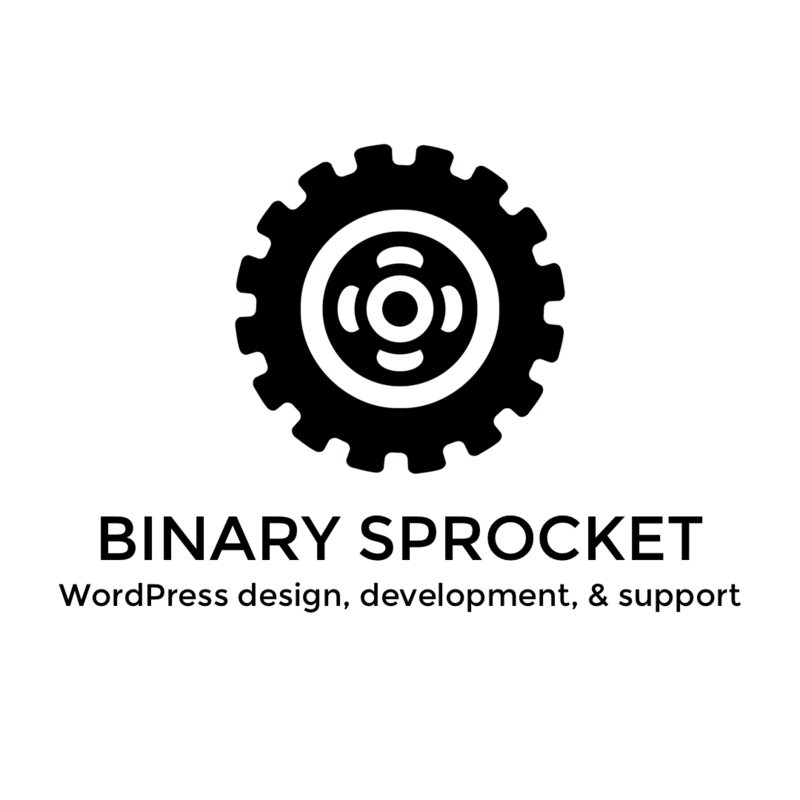 I got to chat with Mike Ponte about the making of The Angry Crab and saw him in action with his customers. I must say that Mike is such a sweetheart who loves to have fun and enjoys serving his customers. 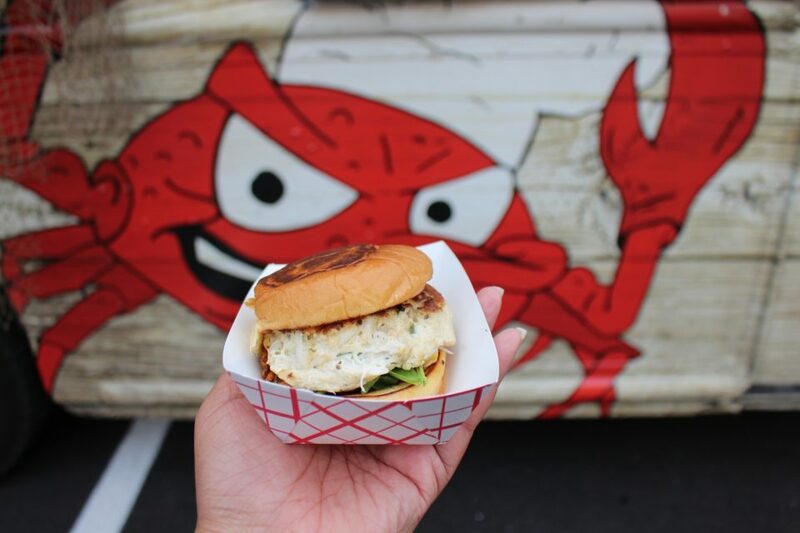 Part owner, Chef Chris, was not on the truck that day, but Mike explained to me how they both run the food truck and how their angry crab cake came to be. 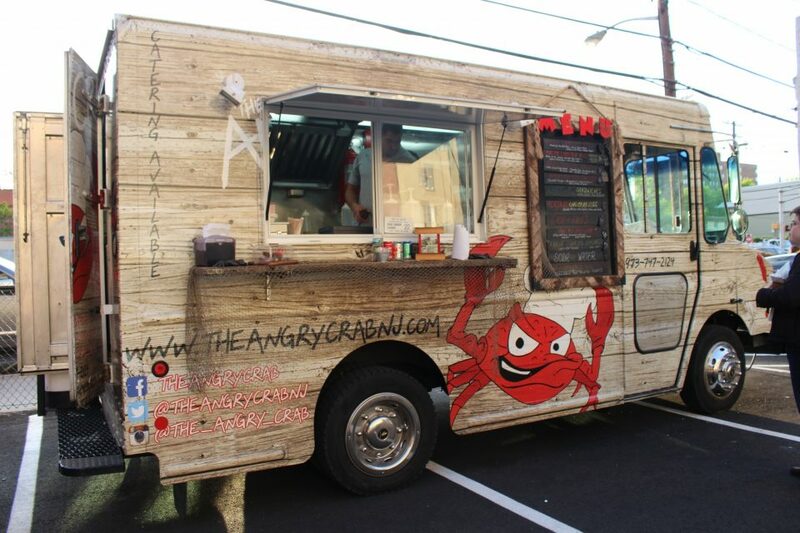 The Angry Crab is one the newest food trucks to hit the streets starting in August 2015, but they already have a great following and clientele. 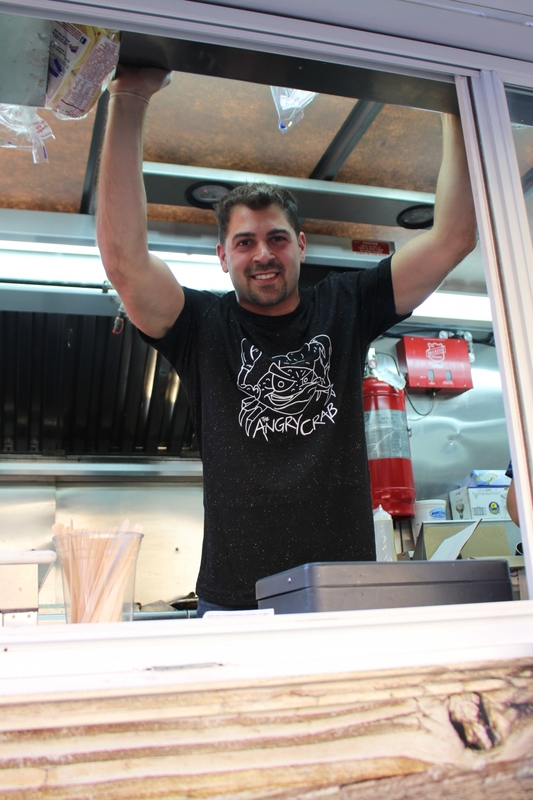 Mike told me his favorite part about the food truck is getting to meet new people but that his least favorite is driving the truck around. I ordered their crab cake and it was delicious, great size, and full of flavor. 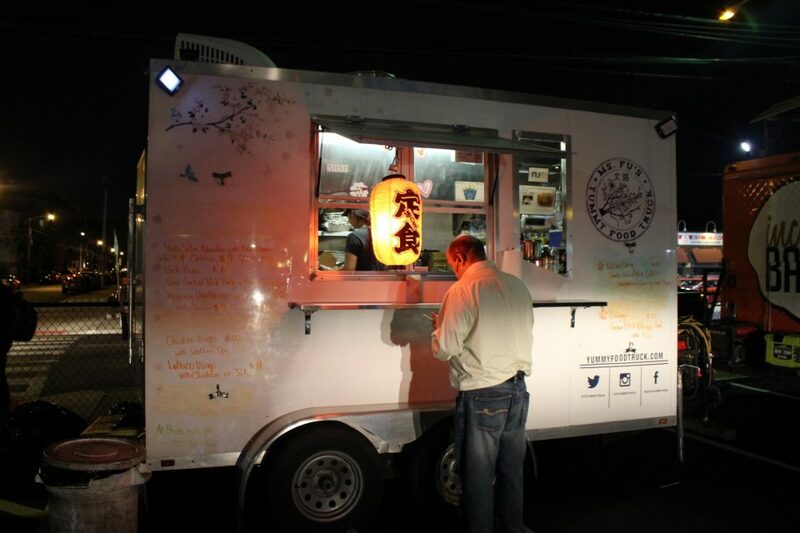 I cannot wait to check out other items on their food truck. Cash and credit cards accepted. 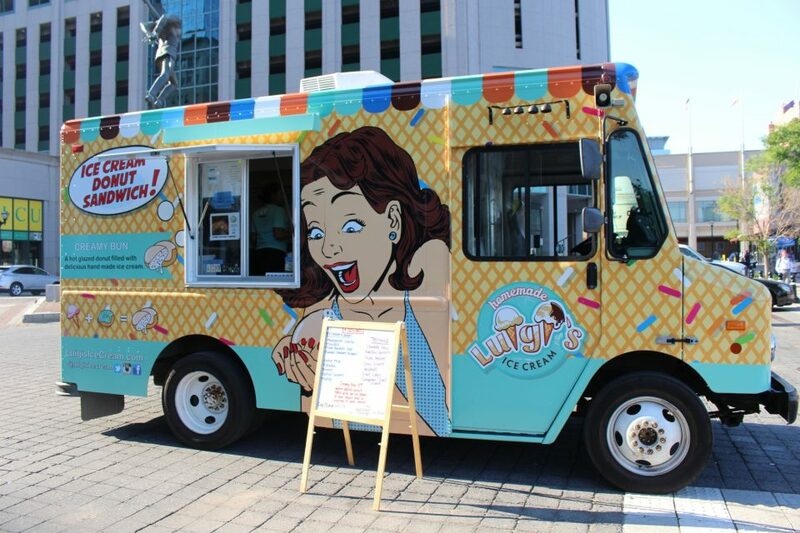 The best way to kick off the summer is by getting some ice cream especially Luigi’s homemade ice cream. 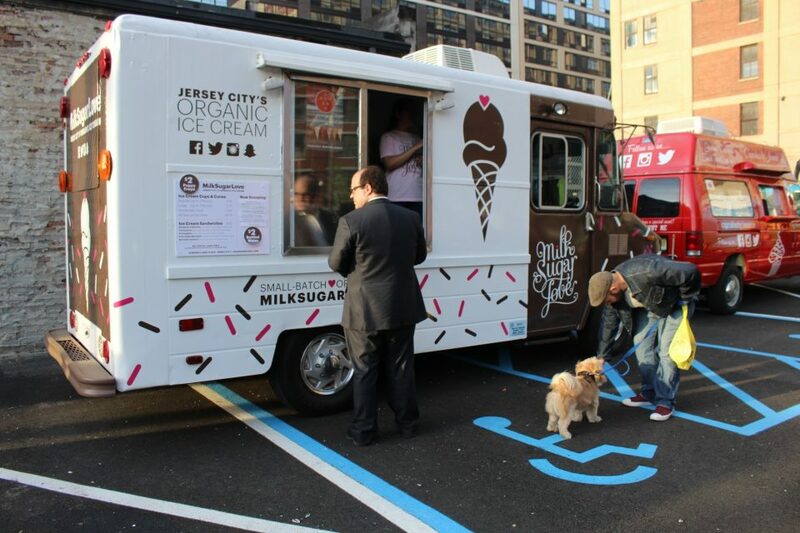 I had the opportunity to talk to Luigi about his ice cream truck and all the good things that are coming from this new ice cream truck hitting the streets of Jersey City. What is Luigi becoming famous for, that’s right, their CREAMY BUNS! If you love donuts, and you love ice cream you’re going to LOVE their creamy buns. 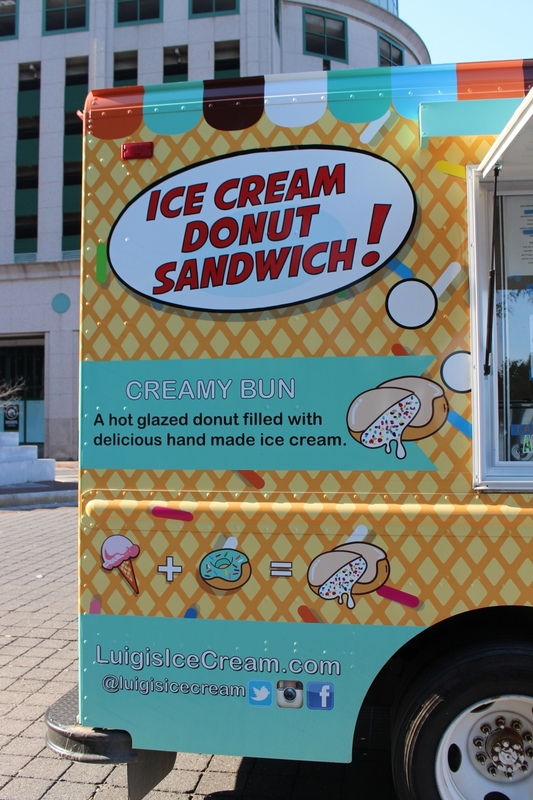 What’s a creamy bun you ask, it’s a delicious ice cream filled donut. Yes, that’s right A DONUT FILLED WITH ICE CREAM. During my visit, I went with the original creamy bun, and it was everything. 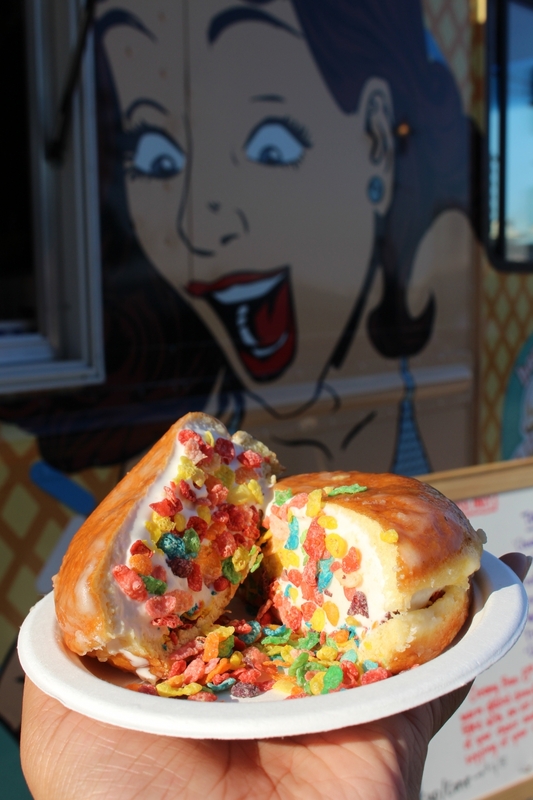 You don’t have to tell me twice about a donut filled with ice cream and fruity pebbles. Aside from the creamy buns, Luigi’s also offers many different ice cream flavors. Cash only. I met Ram about two years ago when he first started Incrediballs, and it’s so great to see how much they’ve grown. 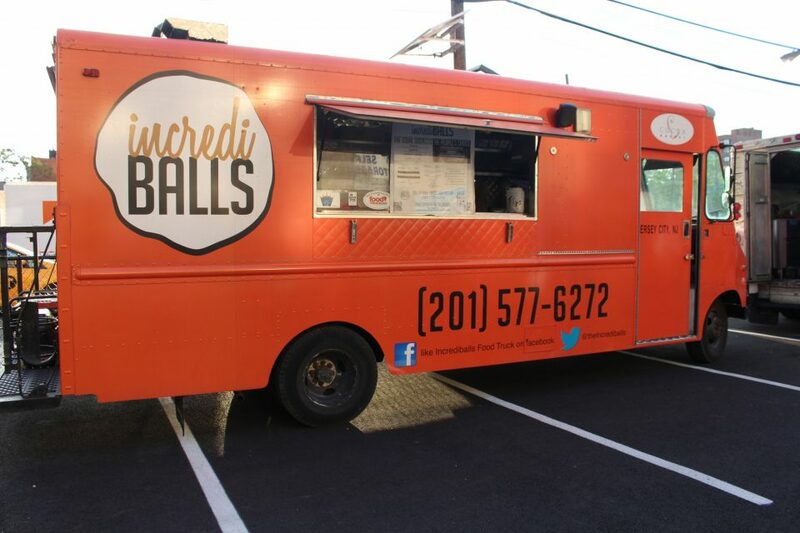 Incrediballs offers you a variety of meatballs. 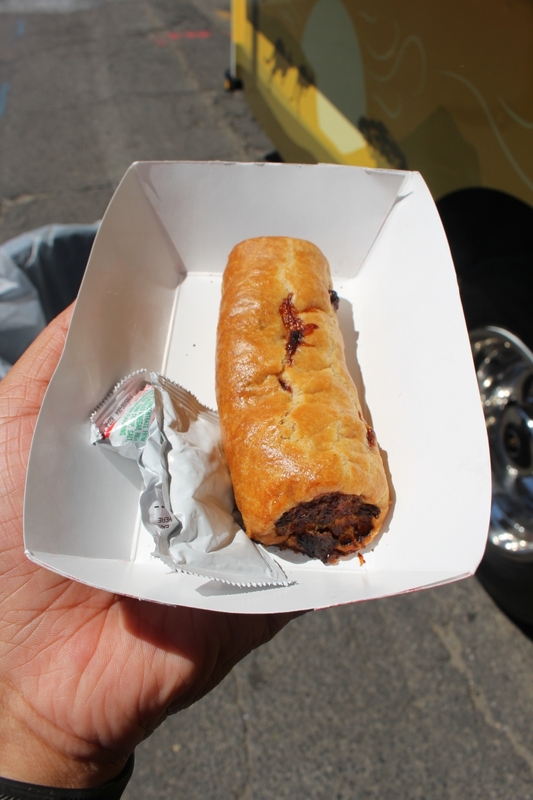 You have some great options to choose from like the Jamaican jerk chicken, Italian, or vegetarian just to name a few. You also have the option of ordering them in a bowl, half, or whole sandwich. 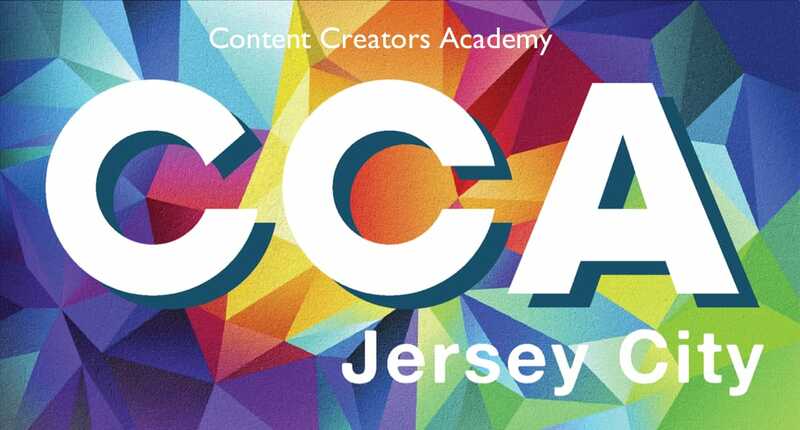 Ram shared how much the food truck association has grown and is thankful to Jersey City for giving all the food trucks owners the opportunity to share their craft. 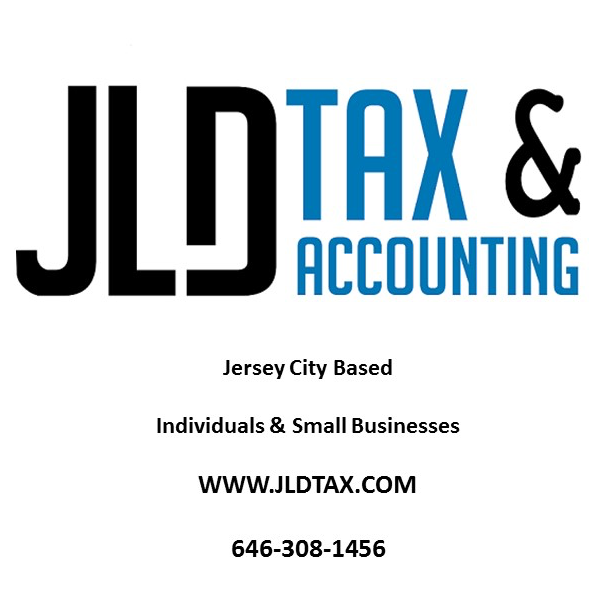 Follow them on Twitter for the most recent information and scheduling. Cash and credit cards accepted. 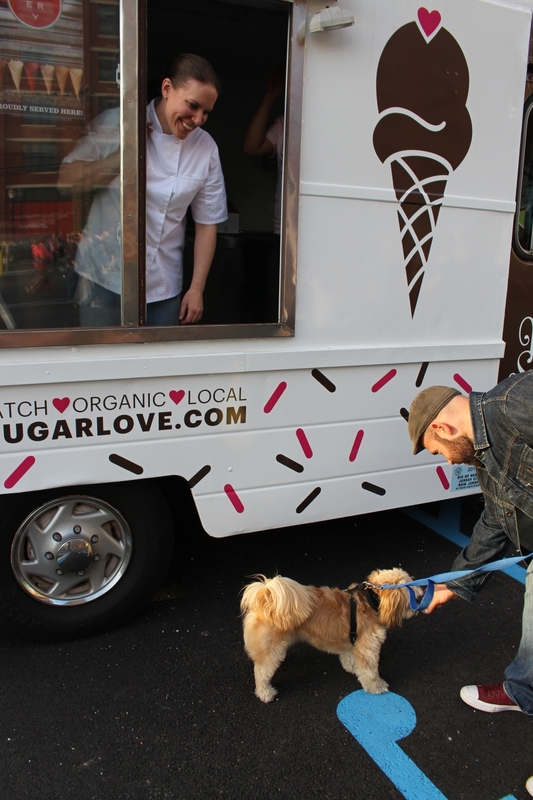 Now if you have visited Milk Sugar Love shop in Hamilton Park, you know they have great organic ice cream. So what takes them to the next level.. having an ice cream truck. 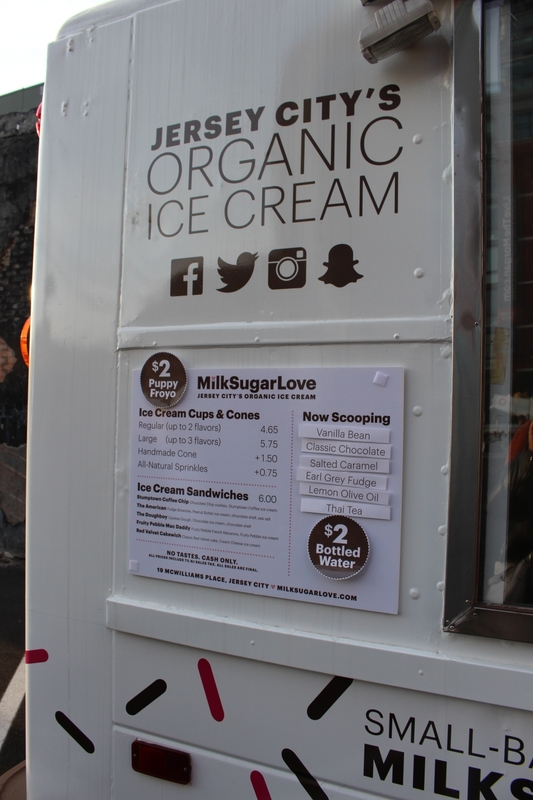 Now you can catch them on the road with some of their classic ice cream sandwiches and their great flavors like cookie butter and vanilla bean. 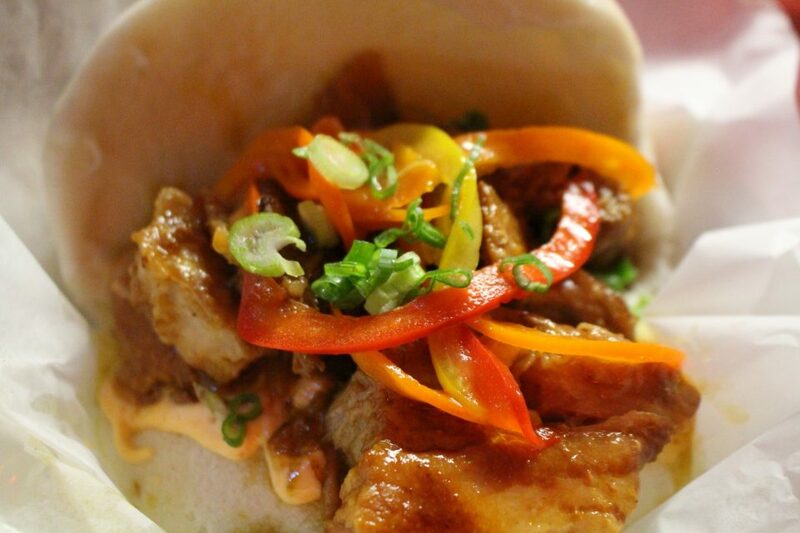 Ms. Fu is just like her food: lively, colorful, and authentic. This lady boss is self-taught and loves cooking up some delicious meals. 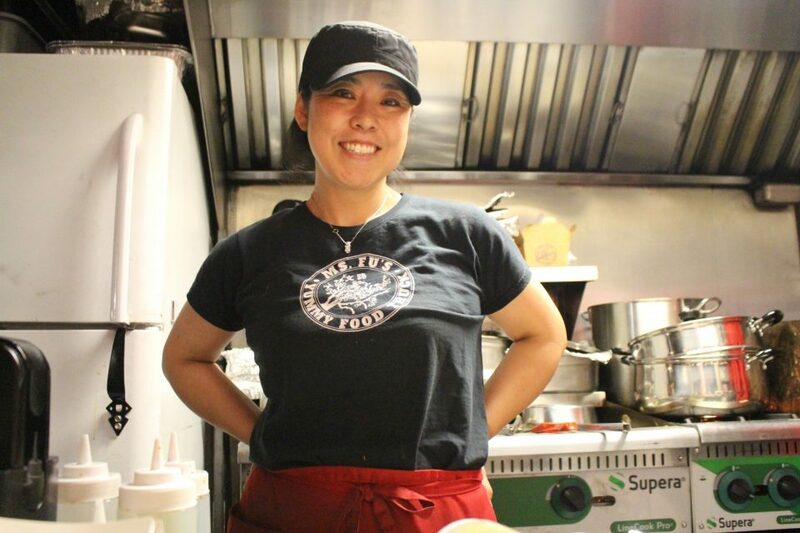 She couldn’t pick her favorite dish because she loves everything she makes, but she did say that they sell out the most of the Yaki Saba Noodles. 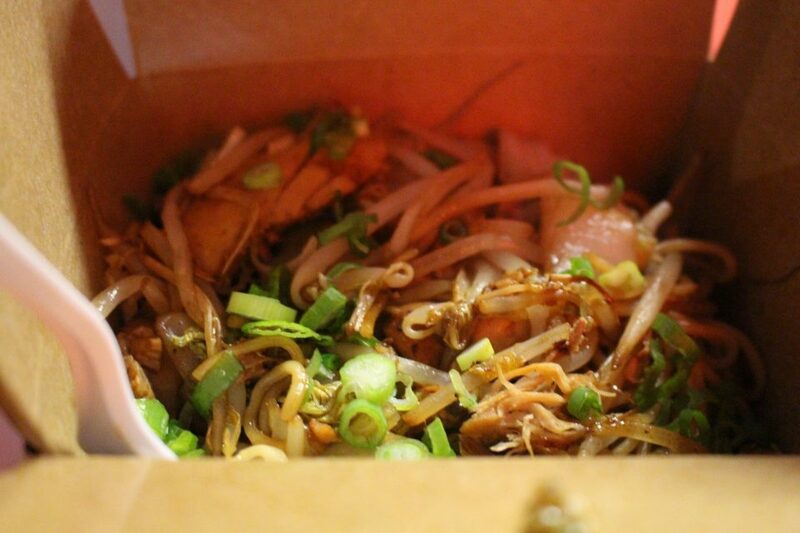 This Asian fusion food truck has so much to offer; from their noodles to their pork belly, everything is delicious and full of flavor. 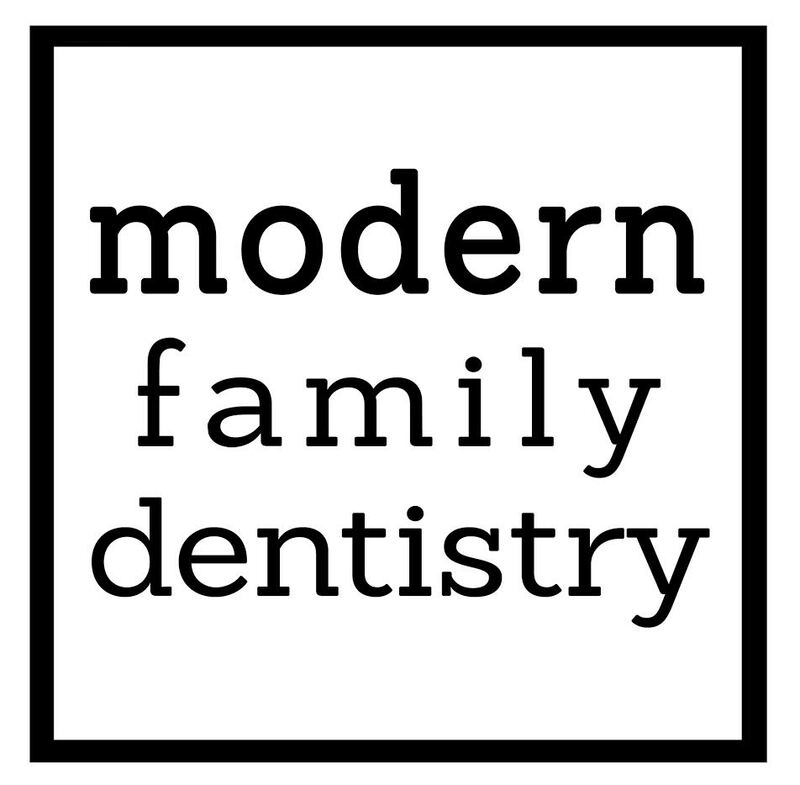 You can find their schedule on their website or social media. They are usually around for lunch and are now starting to expand to dinner time too. Cash and credit cards accepted. 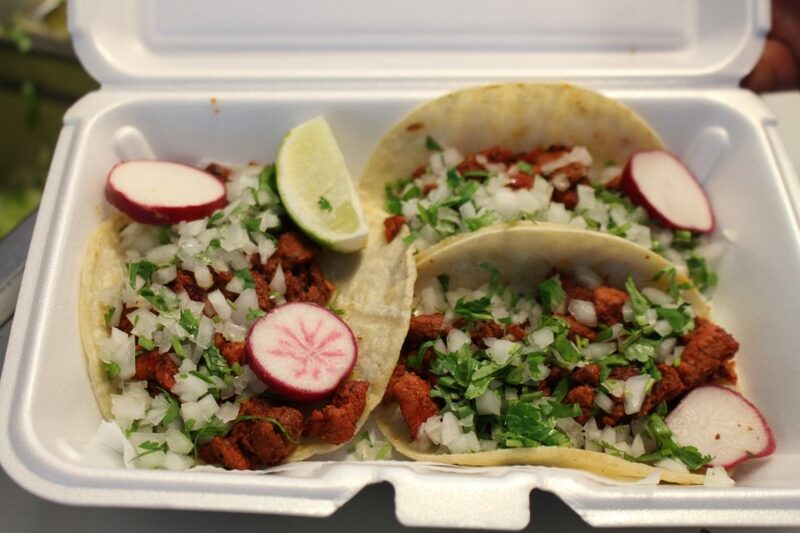 Do you love Mexican food? 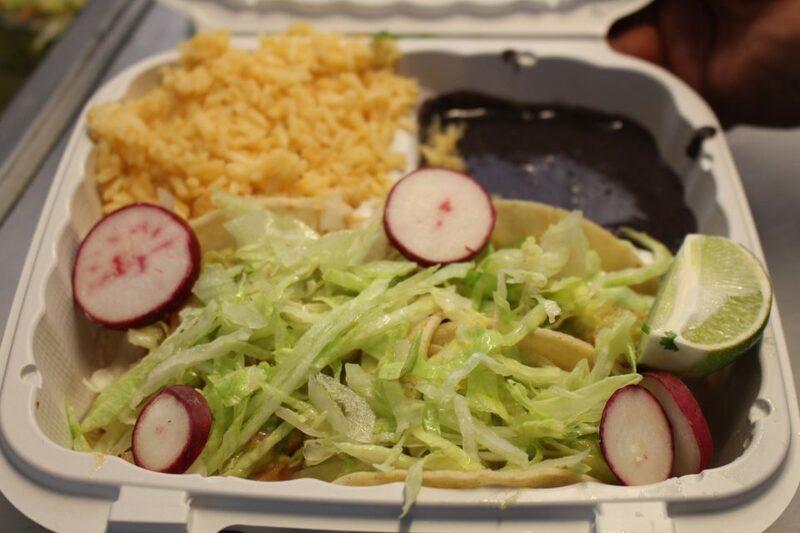 Well, El Chilango which is normally located in the Heights, has so much to offer in Mexican cuisine. 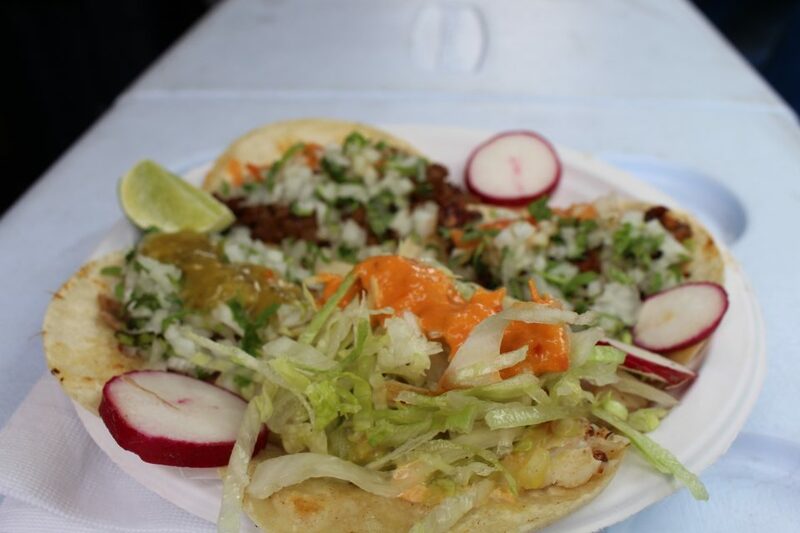 Ricardo, who’s the owner, has an extensive menu that offers you all types of tacos, enchiladas, and some great authentic Mexican dishes. 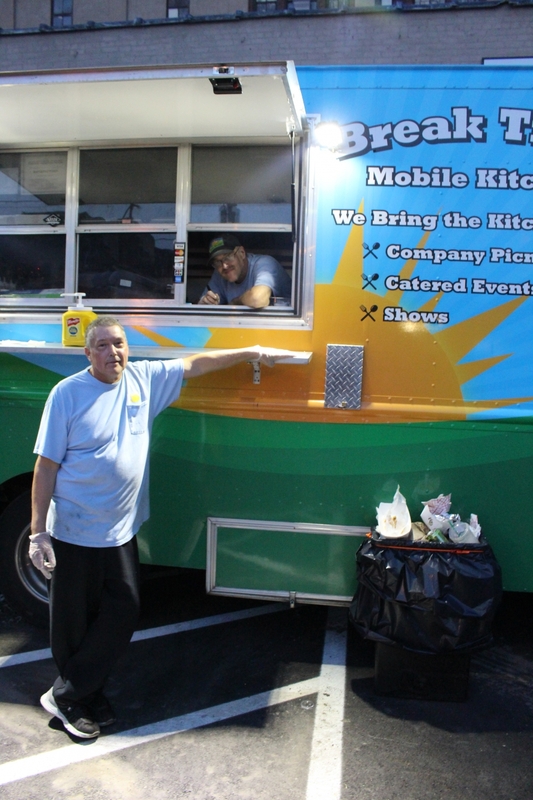 He offers lunch and dinner on a daily basis with breakfast options on Sundays only. 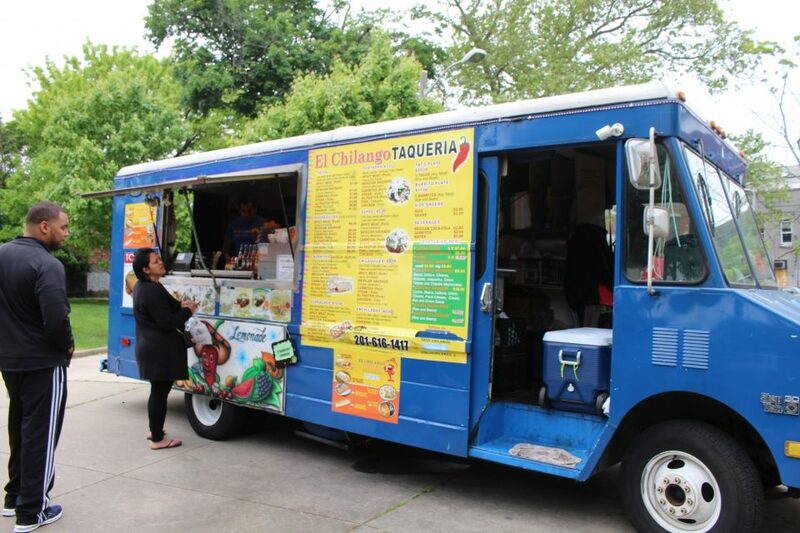 Typically closed on Saturdays, Ricardo did inform me you can get delivery options, and they are also available for catering and food truck rentals. You can also catch them at the Riverside Farmers Market. Cash and credit cards accepted. 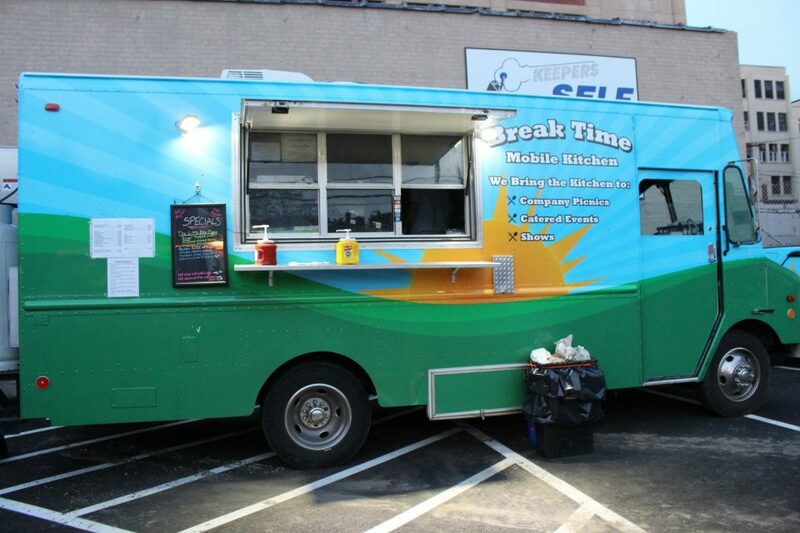 Break Time offers a variety of food items including specials every day. 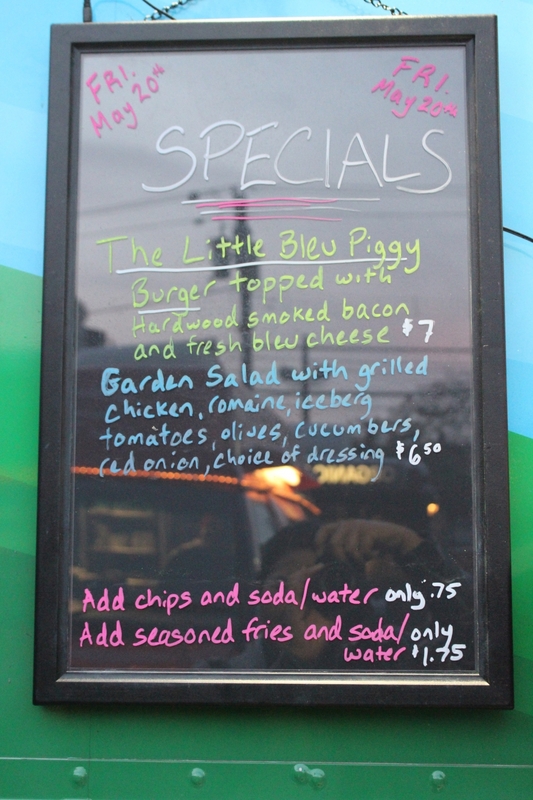 You can find items such as burgers, hot dogs, and salads. 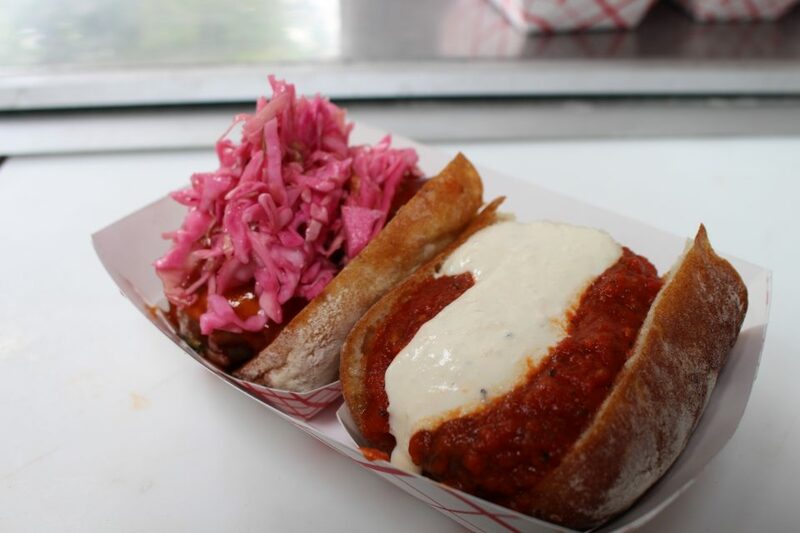 John and Jonathan started their food truck first in Philly and are now in Jersey City. 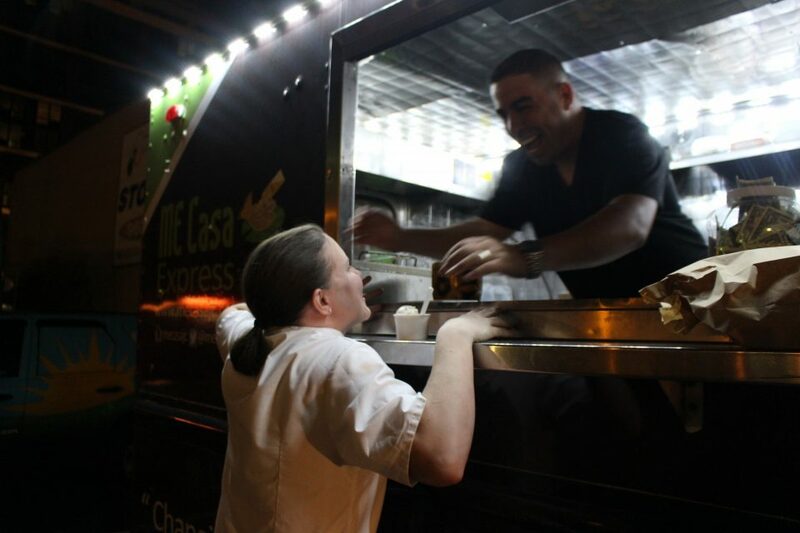 They love being part of the Jersey City food truck association and meeting new people. John said that they have a great Cuban sandwich and a delicious Reuben sandwich. Everything is made to order, and they also offer breakfast options. 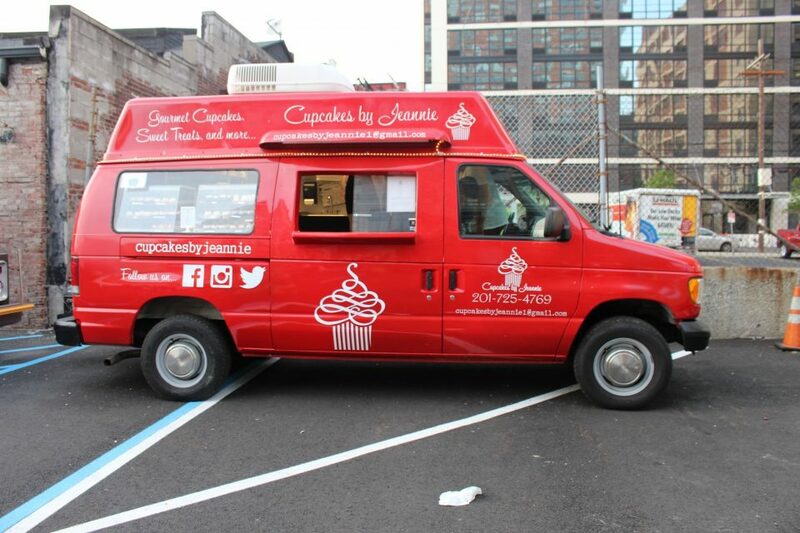 They are available for catering and food truck rental. Make sure to follow them on Twitter and Instagram for their latest scheduling. Cash and credit cards accepted. 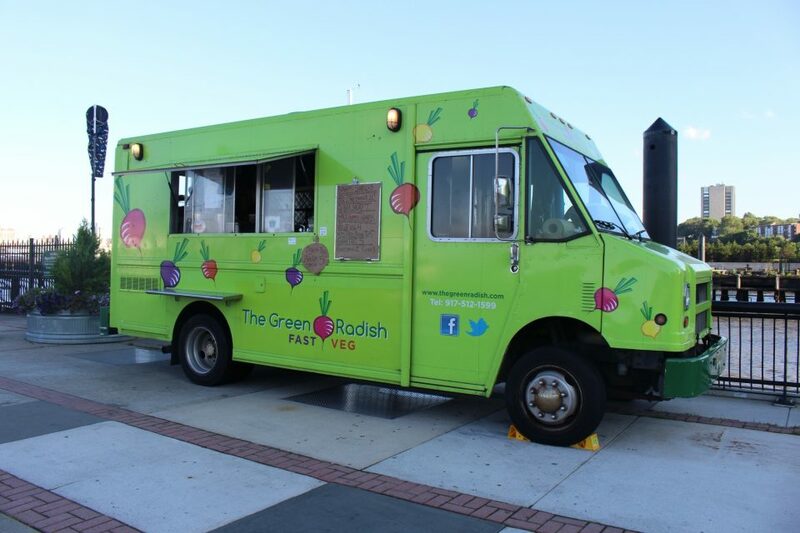 James, a proud vegan, brings something different to Jersey City with his vegan food truck. He is very passionate about plant-based food and explained to me about how eating vegan can be healthy and tasty. 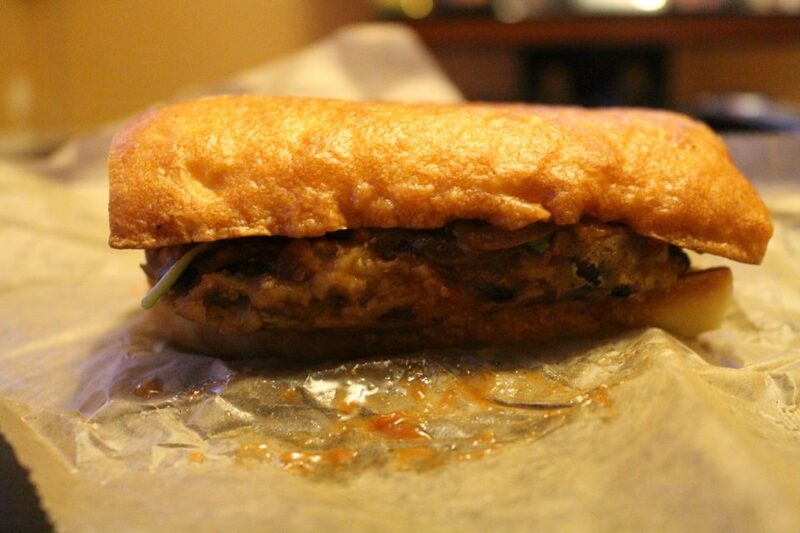 I had the opportunity to try their Banh Mi sandwich and their bbq black bean burger and became n instant fan. Their food is fulfilling and doesn’t make you feel like you are missing out on meat. 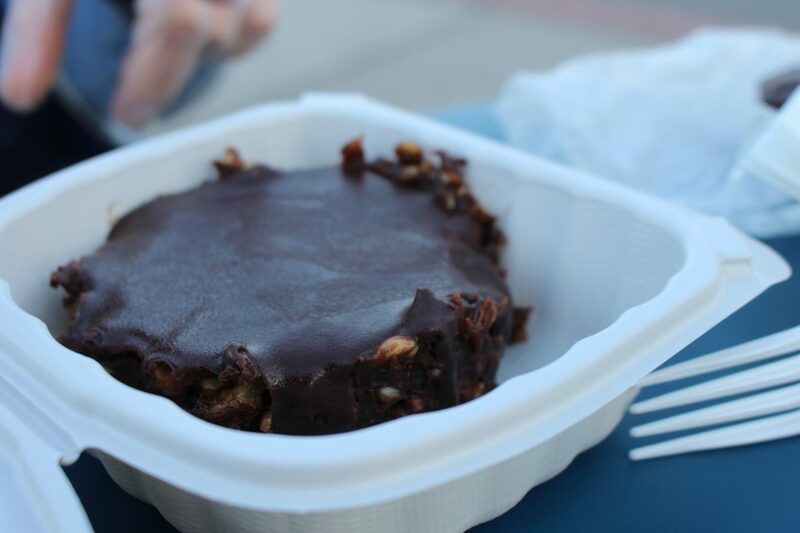 They also offer vegan desserts such as their raw chocolate almond tart. This is made with banana and coconut oil and is a healthy dessert option. Cash and credit cards accepted. 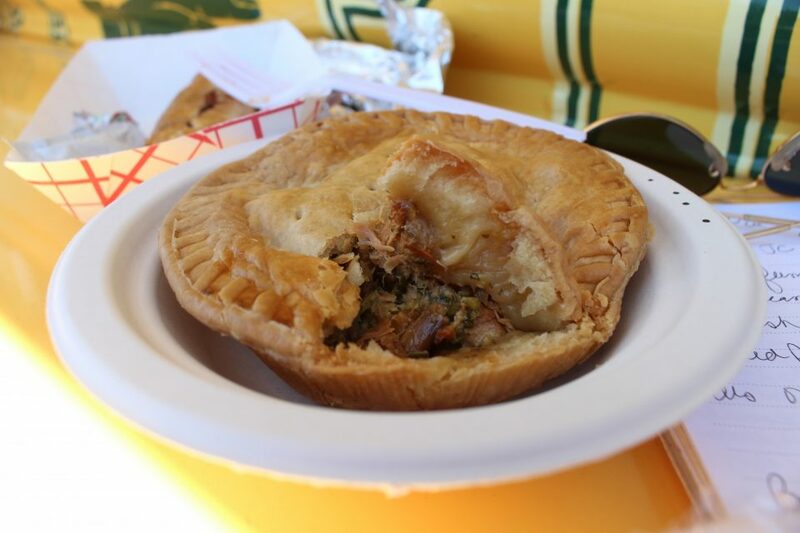 Aussie pies are not like chicken pot pies; they’re better. 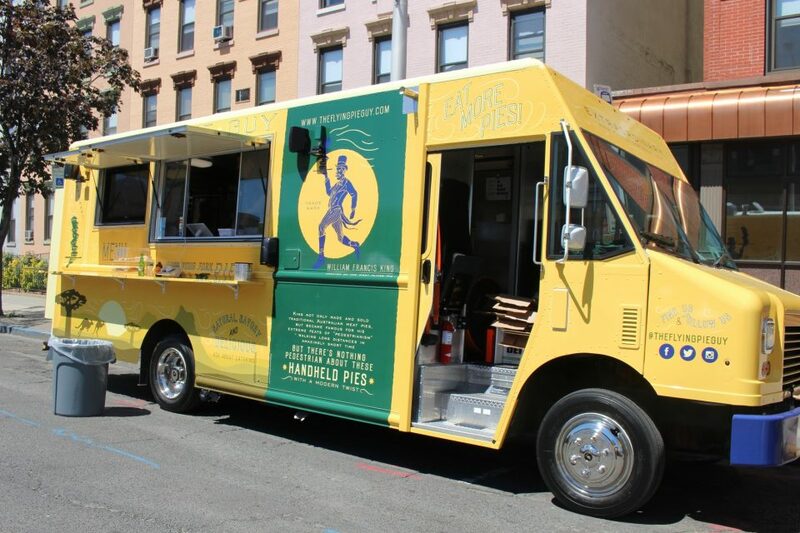 Mike, the owner of the Flying Pie Guy, grew up in Australia. 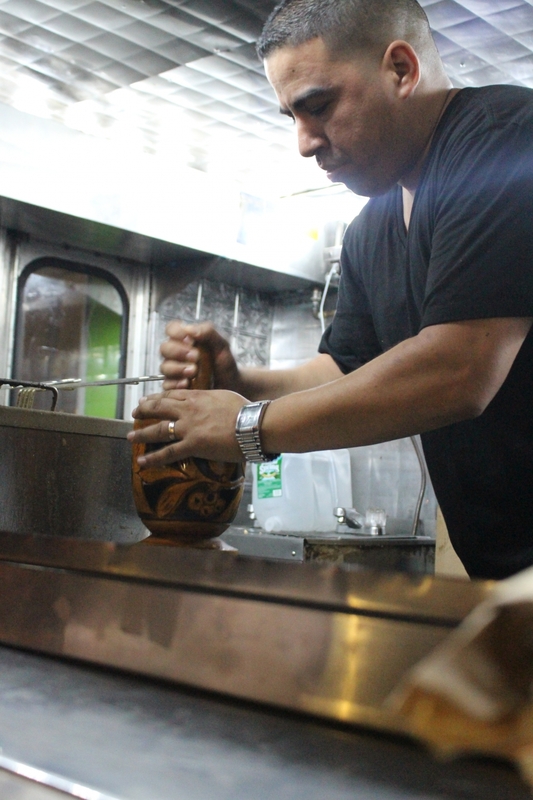 He left the corporate world to pursue the food truck industry. 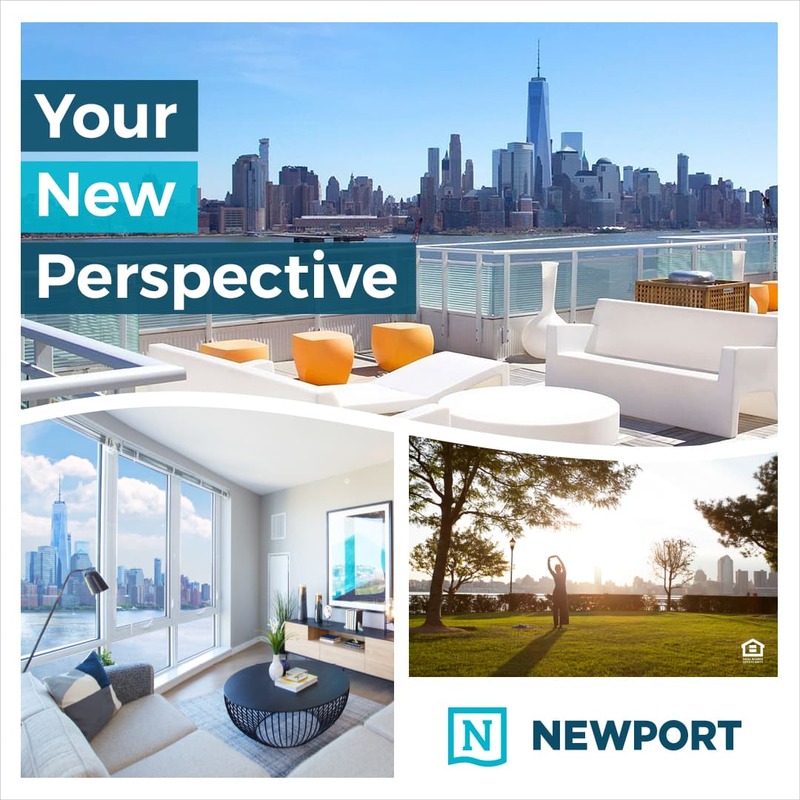 He wanted to offer Jersey City a food item that you really can’t find in the area and knew that Australian pies would be the way to go. These handheld sized pies are packed with some great savory flavors. The Chook & Garden is their signature pie. It’s free range chicken with potatoes, butternut squash, kale and onions in a leek cream sauce. They offer six different types of pies and side orders. This is just the beginning for Mike, and he would love eventually distribute pies by the mass at your local organic markets. 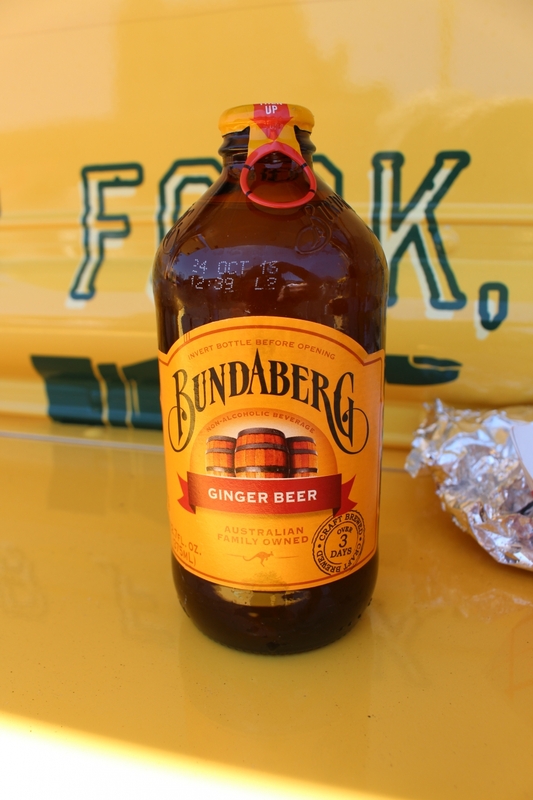 Side note try their nonalcoholic ginger beer! Cash and credit cards accepted. 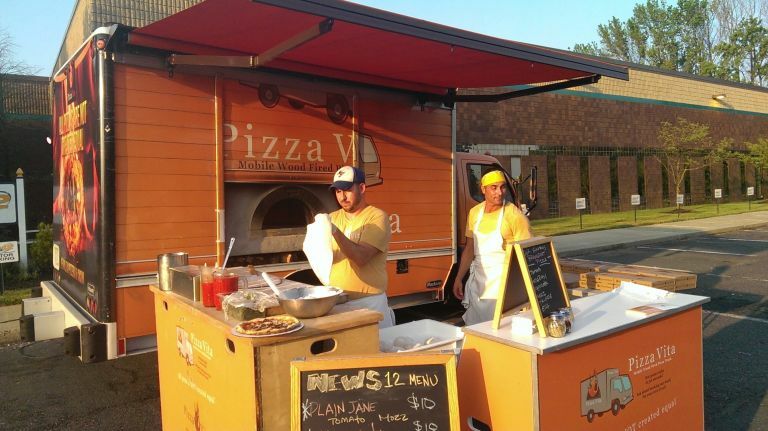 Follow Ernesto and Pizza Vita to find out their latest locations as they hit many parts of the Tri-State area. This contemporary pizzeria and cucina is inspired by traditional pizzerias of Naples, Italy! Mmm, I love me some pizza! Patty, better known as Piña, is a 5+ year Jersey City resident who loves a great cocktail and bites throughout our growing city. When she is not checking out the latest opening restaurant or even an old spot she is spending her time teaching colorguard or dancing salsa. Piña has a long time history of performing arts from spending many years performing in colorguard and drum corps to teaching and performing as a professional salsa dancer. Some of her projects include being a part of JMatos Production as stage manager to one of the biggest salsa congress in the world. Piña loves food and travel photography and enjoys taking photos of her doggy, Whiskey.